The Opening of Kunjanimation 2012 & The Exclusive Premiere Screening of Adventures in Zambezia! Last night I attended a fantastic event to mark the launch of “Kunjanimation 2012” – South Africa’s only national event exclusively dedicated to celebrating the art and business of animation. Now if that doesn’t sound like a recipe for success, I don’t know what does. This year, we are proud to bring some of the world’s most exciting animation and animators to the Mother City for a week of sharing knowledge, strengthening our ties with the industry abroad, and of course, exploring South Africa’s own emerging talent. 2012′s Programme features screenings of a remarkable variety of work from across Europe and Africa, which we are pleased to be able to open to the general public. Held at the illustrious V&A waterfront here in Cape Town, guests arrived at The Pavilion and were greeted to snacks and drinks. It was a gorgeous afternoon and everyone mingled while excitement grew for the premiere screening of the film “Zambezia” – see my blog article on it HERE. I took my friend Nella as my partner for the evening. 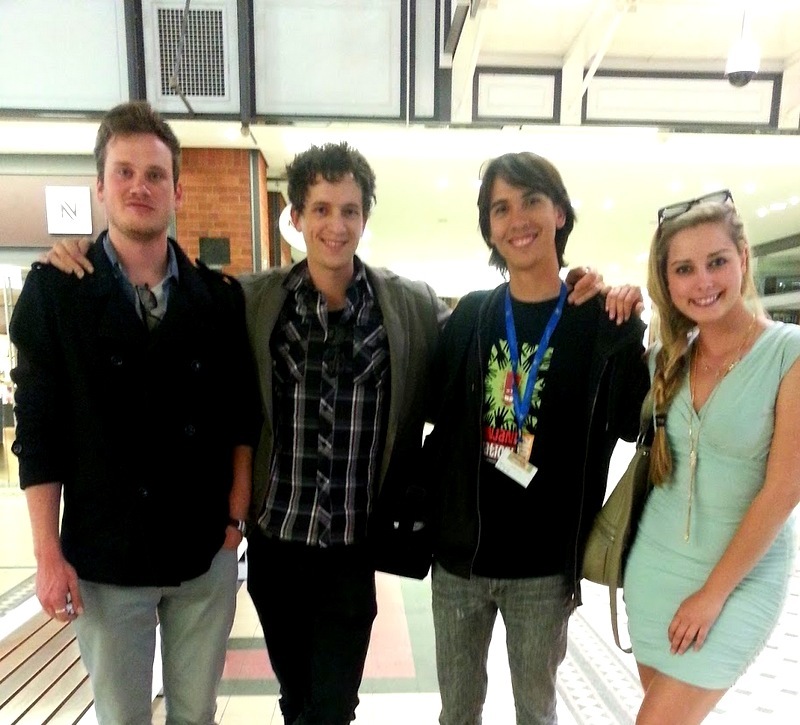 Having both obtained our degrees in Film Production from UCT, we’ve been to our fair share of screenings………. and we still get totally amped each and every time! After the welcoming speeches were given, everyone made their way to Nu Metro at the waterfront to watch the film. I was completely excited and, true to form, I got my extra large popcorn and coke! Putting on my 3D glasses, I sat back and enjoyed the beautifully-animated and emotive journey I was taken on. My verdict? The film was absolutely outstanding!! I was totally captivated the whole movie. I can honestly say I am a hard critic but I was completely sold on this film. I loved how the emotions of every character were captured impeccably – at many points I had either goosebumps or tears in my eyes as I went on an adventure with the lead character Kai. I appreciated how it was done in a completely African setting, with a proverbial “silver cord” of African life running through every angle of the film…. music, design and story. The music of the film was exceptionally suited to the story and the setting, providing a wonderful feel to the movie throughout. One of my favourite South African singers Zolani Mahola, lead vocalist from Freshly Ground, gave the film a festive home-grown flavour at one point when she featured in the song ‘Get Up’ written & composed by Bruce Retief the film’s composer. A real highlight for me were the colours and the sheer beauty of the scenes. I’m all for magic and fantasy, and the way the fictional destination of “Zambezia” or “Bird City” was designed and executed left me breathless. What they’ve done is create a dazzling world of colour, vibrance and diversity that you just want to dive into and be a part of. It was such rewarding escapism which had all the viewers glued to the big screen. You could tell by the laughs from the crowd that people were enjoying what they saw. The storyline is nice and simple – very easy to follow, which I like. It means you can really just enjoy the beauty of the scenery and the story without thinking too hard. – Very refreshing!! It had a nice pace and some beautiful narrative motifs. A classic structure of good vs. evil and let me tell you, I was ready to grow wings and fly in to fight the good fight! An 83 min – Animation | Adventure | Comedy, the humour of the people involved in making the movie shines through the different characters and their dialogue at times. – Some truly funny moments! 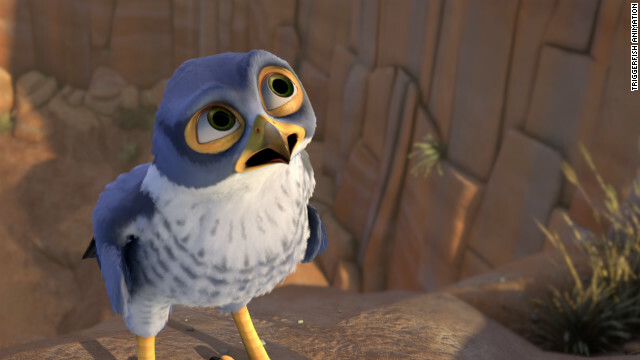 Adventures in Zambezia was picked up by Sony Pictures for distribution in English-speaking territories and will be released in the United States, Canada, the United Kingdom and Australia. 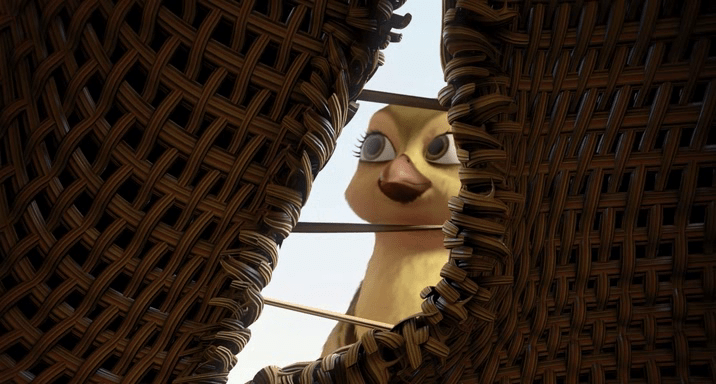 For a South African animated film shot on a limited budget of $20 million and under difficult circumstance, the turnaround on The Adventures in Zambezia is a real achievement. The movie will be released in South Africa on 26 December by Nu Metro. It makes me so proudly South African and I recommend that if you do nothing else this summer, you go watch this feel-good movie! They had over 250 people working on what is the first feature film from Triggerfish. The message of the story? To me it was that by working together we can achieve greater things than we can working alone. As one of the characters shouted out at some point; “Synergy!” (Cue Stephen Covey) An overall success I would say; a movie with a rich setting and mesmerizing characters who each have their own distinct qualities. By the end of the film, you feel like you know each bird – or lizzard – and just want more of them ………. Hmmmmm, do I smell a sequel coming on?! Thank you guys for a wonderful evening! And thank you Gareth Evans for the photographs!